Featuring a shaded beige georgette straight-fit semi-stitched salwar-kameez. Embellished in kundan on the bodice and sleeves. The neckline has attached satin beige chinese collar. 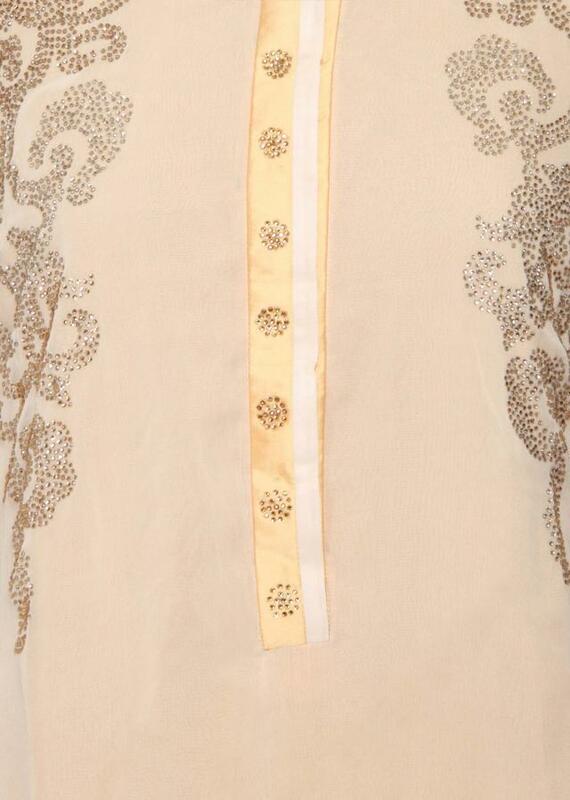 Placket in satin beige with kundan butti. It comes with a beige santoon lining. The border is in satin beige. 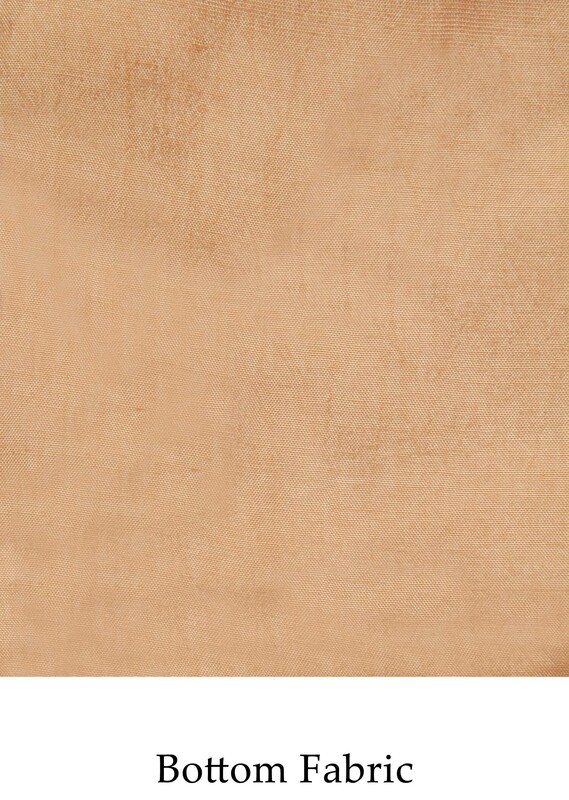 Dupatta is in beige chiffon with thin border.